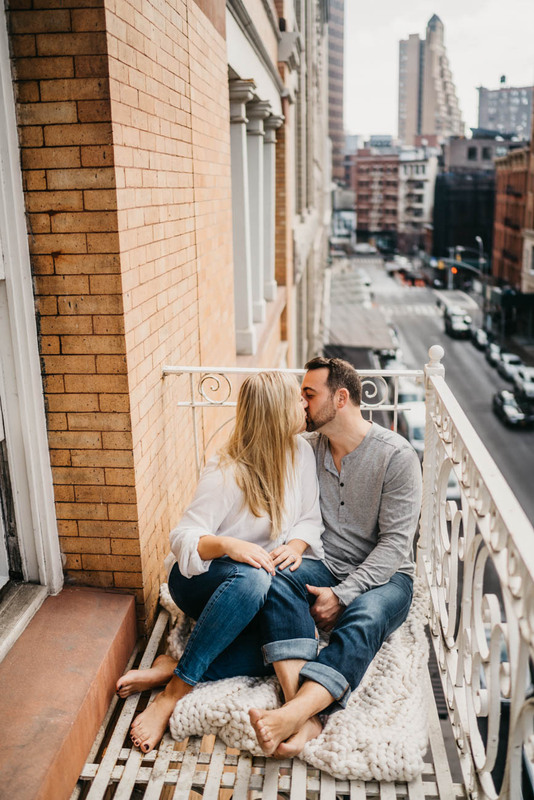 Emma reached out to me with her idea of doing a cozy, at home engagement session in a bright loft in the city. And though I was living in Miami at the time, I knew that her vibe was totally up my alley and that it would be so fun to shoot! After hunting for the perfect space for weeks, she finally found a friend with a beautiful white loft in TriBeCa that was exactly what she was looking for.